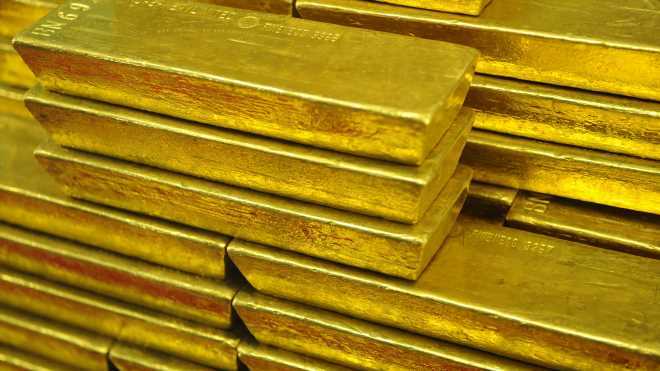 Gold for June delivery GCM9, -0.62% on Comex fell $6.10, or 0.5%, to $1,289.10 an ounce, while May silver futures SIK9, -0.82% were off 8.88 cents, or 0.6%, to $14.875 an ounce. In other metals trade, July platinum PLN9, -1.52% fell $8.50, or 0.9%, to $890 an ounce, while June PAM9, -0.83% lost $11.10, or 0.8%, to $1,339.10 an ounce. May copper HGK9, -0.51% fell 1.65 cents, or 0.6%, to $2.9295 a pound.